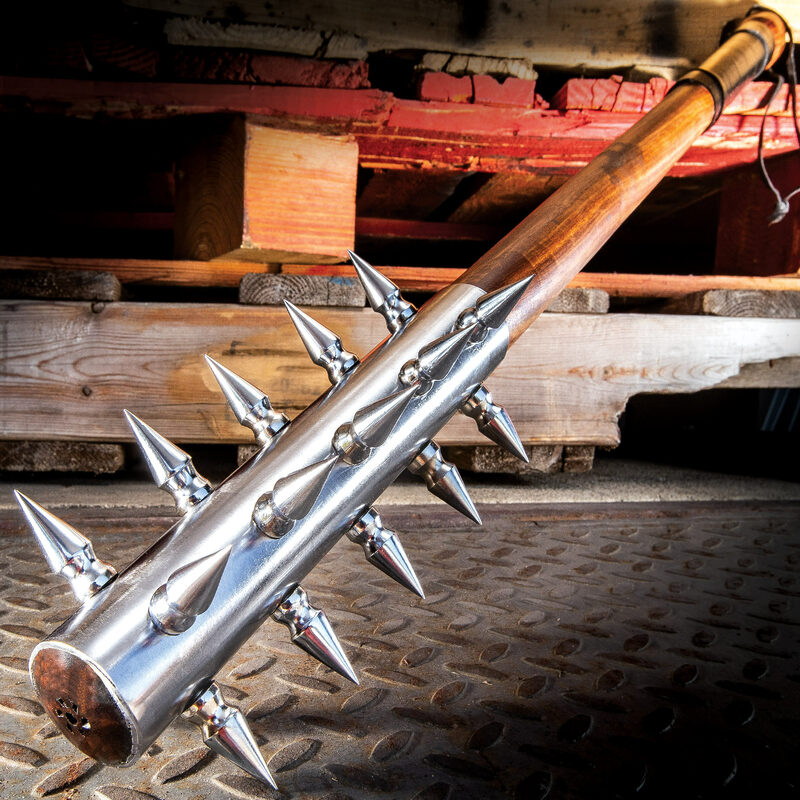 There’s no better friend to back you up when it goes down than the Spiked Hunting Mace. Whether you’re facing zombies or wild beasts, it’s one tough contender! The 10” pipe head of the mace is made of high carbon steel and has sharp, nickel-plated carbon steel spikes on every side. The sturdy wooden handle has a black, faux-leather wrapped grip, giving it a baseball bat feel in your hand when using. The spiked hunting mace is 28” in overall length from lethal head to slip-free grip.